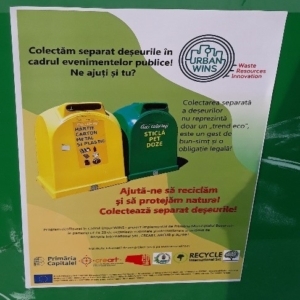 The UrbanWINS pilot action in Bucharest pursues to mitigate the negative effects that various public events have on the environment, allowing local actors to acquire tools, guidelines and strategies to manage waste and create economic opportunities in the recycling chain. The information needed for the project is collected over a seven-month period. By assessing the largest public events that generate problems in terms of contamination and poor functioning of environmental structures, this pilot action takes into account the indicators developed in UrbanWINS and incorporates an urban metabolism approach. The action has already kicked off in some large events in the city, where prevention programs and awareness raising for recycling option has been implemented The number of participants at each of them varied between 15,000 and 155,000 participants, while the amount of waste generated was up to 10 tons per event. It has been recorded a maximum daily rate generation of 4.5 tons of waste per day, while the recycling rates for different events varied between 5% and 75% from the total quantity produced, depending on the tested prevention and awareness actions and the provided recycling infrastructure. This action has confirmed a very positive impact on Bucharest. The guidelines on how to prevent waste and increase recycling rates developed for this pilot action can be used by other cities facing similar waste management difficulties, and aiming at improving separate collection, reducing polluting and improving waste management strategies. Bucharest Days 2018 Festival, 155,000 participants in 3 days of festival, Pilot project implementation has improved separate collection rate of waste from 0% to 75%. The City of Torino has already started implementing its UrbanWINS pilot actions. Circular events: The objective of the city is to have a standard process in place to organise circular events. Currently, a scenario analysis is being conducted. This November, members of the city authorisation committee have been interviewed to identify possible constraints and opportunities of a new regulation. This city authorisation committee is a specific work group participated by several Divisions and Sectors of the Municipality in charge of specific issues (Waste management, green public areas management, public land occupation), by representatives of the eight districts and by the Mayor team for public events and security. The final product will be a guide, expected to be ready by March 2019. This document will help to identify and manage a system of incentives to encourage circular events. 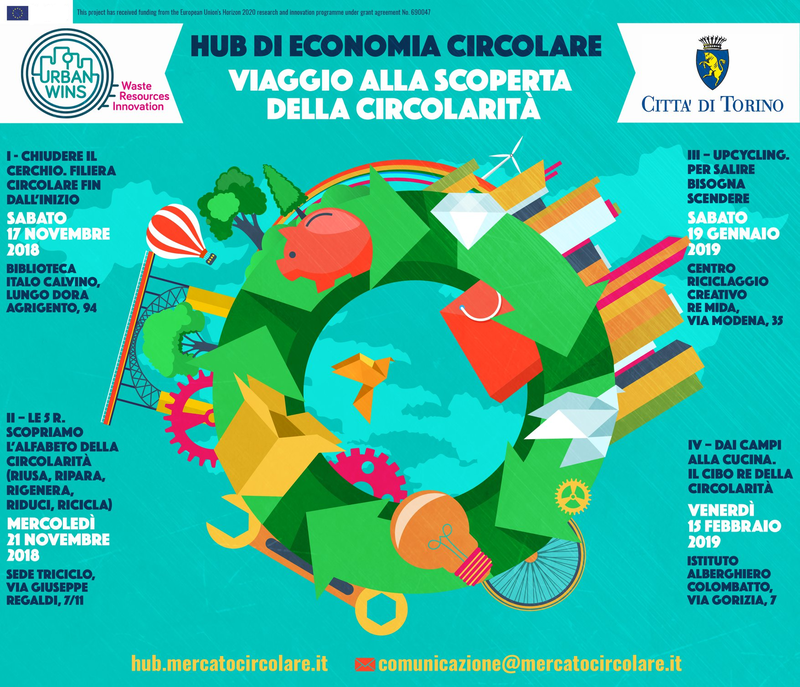 Hub for Circular Economy: A total of four events to understand the journey of the circular economy will be organised. Each of them will focus on a different aspect: the circular supply chain (November 17th), product life cycle extension (November 21st), upcycling (January 19th), and circular food (February 15th). Each event will consist of a conference and a workshop. The idea is to bring together entrepreneurs, researchers and civil servants to discuss and share different points of view on circularity. For more information, click here. Water stand posts: Having identified plastic bottles as one of the main waste problems of the city, water stand posts will be installed this November in the Central Register office. The results of this pilot action will be assessed until March 2019. Different stakeholders are involved: from city officials, to citizens, environmental experts and the private-public company in charge of water supply. Sabadell and Manresa have already started to put into practice all the „lessons learned” since the UrbanWINS project started. All in all, six pilot actions will be developed in both cities. In Manresa, a local plan for waste management, a specific training campaign addressing singular producers, as well as a series of networking sessions aimed at exploring new business models, will be implemented in the upcoming months. Sabadell will develop an innovative website that will promote information exchange with the citizens. The city will also create a dedicated space for eco-awareness, specifically related to waste and its reuse. The third action will be a real environment test for a new commercial door-to-door collection system. These experiences will be the basis of the Local Strategic Action Plans to be developed in the municipalities that have to shape the urban development towards a future zero-waste-impact scenario. The municipality of Cremona has already defined its pilot actions, a total of five activities to improve its waste prevention and management. The Italian city wants to organise a last minute market to reduce food waste. The meetings with large scale retailers and local associations that recover and donate food surpluses and expired products have already started. Some supermarkets already filled in the survey to quantify unsold food fluxes and to suggest possible solutions to reduce the surpluses. An agreement between the municipality and local associations has been signed in order to create a network and start planning future activities on this topic. Cremona also plans to introduce a punctual tariff charging system. The Municipality met other municipalities that are already implementing this tariff. Starting from the results of a study in a city area, the possibility to expand the charging system to all the city is being assessed. The third pilot action aims at improving lifestyles habits. For that, the municipality has approached schools and some will have a „habits journal”, to write down what they do at home in terms of waste production, separate collection, energy saving, etc. Some schools will also test the redistribution of edible leftovers from canteens to elderly people or needy families. Based on the results, the action will be replicated by other schools. Together with the Università Cattolica del Sacro Cuore, Cremona is working on the reuse of vegetative waste. A fifth action focuses on waste in farming sites: first meetings with farmers will lead to training activities, and development of opportunities for waste collection and reduction and recovery of plastic waste. The UrbanWINS team has started developing the UrbanWINS Toolkit, a set of tools to plan waste management in a participatory way that will be ready by spring 2019 and that will be one of the main outcomes of the project. 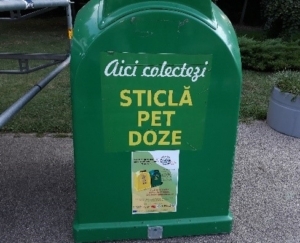 A series of actions aimed at preventing and improving the waste management system in pilot cities have started. The toolkit will contain best practices that can be inspirational for others, challenges and opportunities of the pilot actions in the UrbanWINS cities, and tips to prevent and improve waste management processes. Ecoteca Association, responsible for the development of this toolkit supported by the other project partners, is also working on other categories of the toolkit. 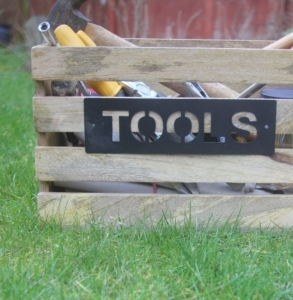 Once finalised, the toolkit will be published as an online instrument that can be used by any European public authority, urban policy maker and other organisations looking for effective ideas to prevent and reduce waste and improve waste management. 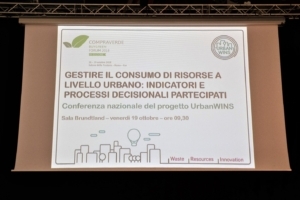 The UrbanWINS Italian National conference took place on 19th October 2018, at the Forum CompraVerde-BuyGreen, International Forum of Green Procurement, in Rome (Italy). The conference was held under the title of „Managing the consumption of resources at urban level: indicators and participatory processes” and set out to recap the results achieved by the four Italian pilot cities – Albano Laziale, Cremona, Pomezia and Torino – involved in the project implementation. The conference explored the opportunities to replicate the approaches and methodologies adopted within UrbanWINS in other urban and regional contexts. At the roundtable discussions, representatives of the pilot cities shared their experience, inspiring leaders from other cities to learn from the UrbanWINS expertise in applying the Urban Metabolism approach. The event was attended by around 50 people who represented a very heterogeneous audience ranging from local and regional authorities, to public and private research institutes, national press, environmental consultants and scholars. The city of Zurich (Switzerland) will host a CityMatch on 23 – 25 January. Its focus will be the reuse of concrete used for buildings (recycled concrete). Experts from the city of Zurich, including staff from the building construction and health and environment department, public procurement professionals, and concrete suppliers will showcase the approach Zurich is taking towards a circular economy, and will open the conversation for new ideas and innovations. The city of Malmö (Sweden) invites interested practitioners from 6 – 8 March to learn more about contract management for strategic, sustainable public procurement. Participants will immerse themselves in a day in the department, working together on issues such as socially responsible service contracts. The full programme of both CityMatch activities can be found here. In October, UrbanWINS was present at the EcoProcura conference, which took place in Nijmegen (the Netherlands). 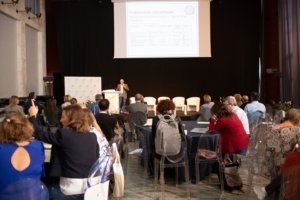 The conference brought together representatives of the European Commission, Mayors of leading cities, business leaders and some of the brightest procurement minds to inspire innovations in the field of sustainable, strategic, and circular procurement. UrbanWINS was in the midst of this vibrant event, inspiring attendees to rethink urban waste and move towards circular and inclusive waste management models. Read a full recap of the event on the EcoProcura website. In our latest Sector Watch, we zoom in on a textile sorting centre in the Netherlands, that managed to implement some ground breaking innovations thanks to a visionary procurement process. For this, we talked to Michiel Westerhoff of Circulus-Berkel, the public waste management company that serves eight municipalities with around 440,000 inhabitants in the Dutch Province Gelderland, about their new textiles sorting centre. In July 2018, the centre starting operating and in the interview we learn from Michiel about how they got to where they are today. Read on to learn about the procurement process and how the centre tackles some of the major issues of the textile chain in a sustainable way here. In one of his latest blog posts, Micael Sousa describes how board games helped to tackle serious issues at the UrbanWINS agoras in Leiria. This blog has been nominated as runner up for the #EUinMyRegion 2018 blogging contest. Read the full story of how Micael used board games as a tool to facilitate the discussion during the Urban Agoras in Leiria in his blog post. The UrbanWINS Spanish National Conference will take place next 23rd November in Sabadell (Spain). The conference invites participants to discuss the importance of innovation and the challenges of adapting waste management to the circular economy. UrbanWINS project outcomes will also be presented. CTM, together with the Spanish partners, is organising this event. For more information on the programme go here. 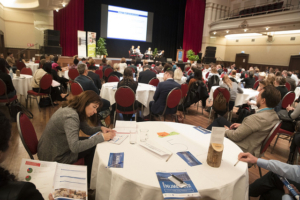 UrbanWINS partners will be hosting a workshop on ‘The UrbanWINS approach: citizen-driven priority action for waste prevention, resources management and innovative circular business models’ at the World Resource Forum in Antwerp (Belgium). It is one of the largest conferences in the world on the subject of resources and in 2019, it will focus on ‘closing loops – transitions at work’. At the interactive UrbanWINS workshop, participants will experience how to integrate the urban metabolism approach within city policies – inspired by examples from the project and a live citizen engagement as used during the Urban Agoras.